Your room will be held until 7:00 AM the morning following your scheduled arrival date. If you do not arrive and do not cancel your reservation by the cancellation deadline, your credit card will be charged a minimum of 1 night's stay plus tax. No refunds or credits for early departure, cancellation after deadline, or no-show. Canceling your reservation after 6pm one day prior to your date of arrival will result in forfeiture of your deposit. Taxes may apply. We look forward to making your stay with us at The Wild Goose Lodge Motel a truly enjoyable experience. We ask that you please take a moment to read this agreement in full. When you book lodging with The Wild Goose Lodge Motel, you must understand and fully accept the policies and restrictions set forth for these accommodations. Thank you. The term "occupant" or "occupants" as used in this Occupancy Agreement includes the registered guest and all other persons who occupy the motel room. 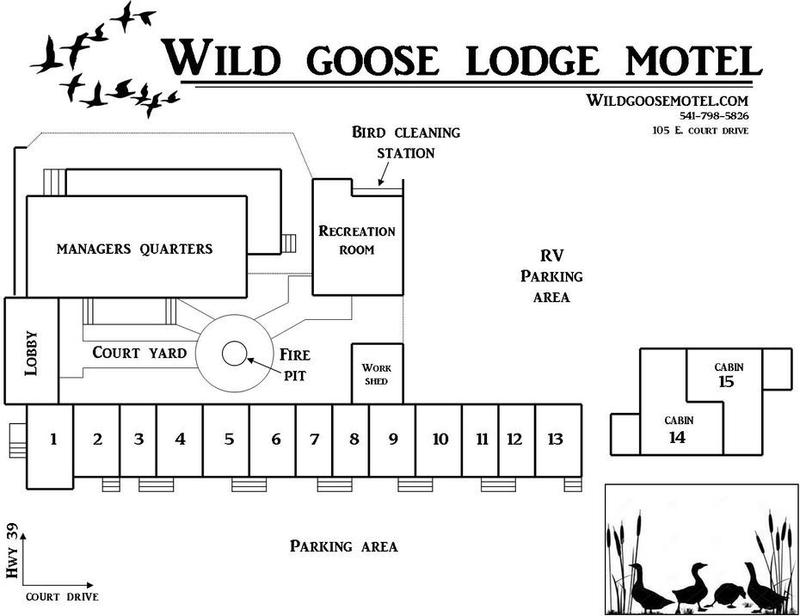 The Wild Goose Lodge Motel has a zero tolerance policy in which it will refuse to admit or refuse service or accommodation in the motel or may remove a person who: while on the premises of the motel acts in an obviously intoxicated or disorderly manner, destroys or threatens to destroy motel property, or causes or threatens to cause a public disturbance. We are committed to being a good neighbor, and asks that you be considerate of those who are living near your room. Unfortunately, from time to time some occupants disturb their neighbors, by creating excessive noise, smoke, or other nuisances. The Wild Goose Lodge Motel expressly reserves the right to terminate, at any time, your occupancy of your room, and to evict you from the room, in the event that complaints are lodged which indicate that you are disturbing the neighbors. In that event, you will also forfeit all monies previously paid.The Wild Goose Lodge Motel may limit the number of persons who may occupy a particular guest room in the motel and will only allow registered guests to use its facilities. Check-in at 2:00 PM; early check-in times can be requested but will not be guaranteed. Check-out at 10:00 AM; Keys can be returned to the drop box in the lobby. Late departures, unless previously discussed with the owner, will result in a charge of ONE ADDITIONAL NIGHT as any delay can cause the room to not be cleaned in time for the next guest. Occupant is liable for any damages to the premises and/or household items therein including but not limited to guest rooms, equipment, fixtures, furnishings, artwork, décor or linens, which occurred during occupancy, excluding normal wear and tear. Please report any damages to your room during your stay before departure. Damage to the property, will result in a charge of 120% of fair replacement value and necessary cleaning, including the motel's loss of revenue resulting from the inability to rent or lease rooms while the damage is being repaired. All properties and rooms are smoke free, including the recreation room. There will be a $250 non-refundable fee for deep cleaning services charged to any room that has been smoked in to restore it back to its non-smoking condition, including the motel's loss of revenue resulting from the inability to rent or lease rooms while the damage is being repaired. Each day The Wild Goose Lodge Motel will replenish supplies and replace towels. Linens will be replaced once a week or upon request. Please contact the front desk if you require additional housekeeping services. An authorized employee or repairman may enter the premises at any time in order to inspect, repair, and maintain the room and in order to confirm that the room is being used in accordance with the terms of these policies. Please be aware, other than microwave use, cooking in the room is not allowed. Please use recreation room for all your cooking needs. However, cooking in the cabin is allowed. Pets are allowed at The Wild Goose Lodge Motel. Please be aware, pets are not allowed to be left unattended in the room, without prior approval. No pets are allowed on the beds, we will gladly provide extra blankets for your pets comfort. No deposit is required but guest will be responsible for any damage. There will be a $100 non-refundable fee for deep cleaning services charged to any guest allowing their pet to be on the beds. 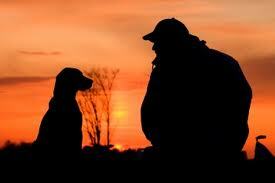 Guests, occupants and visitors must pick up after their pet in all areas of the property. The Wild Goose Lodge will make a reasonable effort to contact guests after departure if they have left any belongings on the premises. We will ship items back at owner's expense. If we are unable to reach the guest(s), the items will be placed in our Lost & Found. Any items that remain in the Lost & Found will be donated to charity or discarded after 7 days. Please DO NOT pluck your ducks in the rooms or in the outside garbage cans. We have a cleaning station located outside the recreation room on the east side of the building. Please ask and we will gladly show you where it is located.